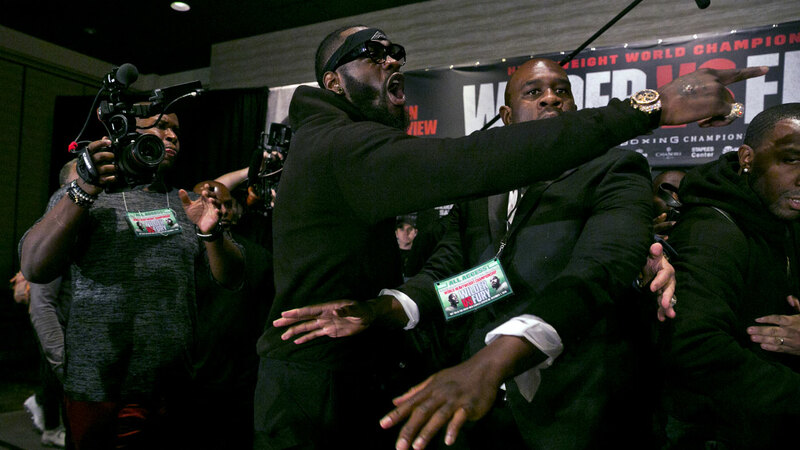 Tyson Fury and Deontay Wilder’s final press conference before their WBC heavyweight title bout on Sunday has descended into chaos, when verbal jousting took on a racial dimension. Both undefeated fighters had to be separated as tempers flared ahead of their much- anticipated unification bout on Sunday at LA’s Staples Center. 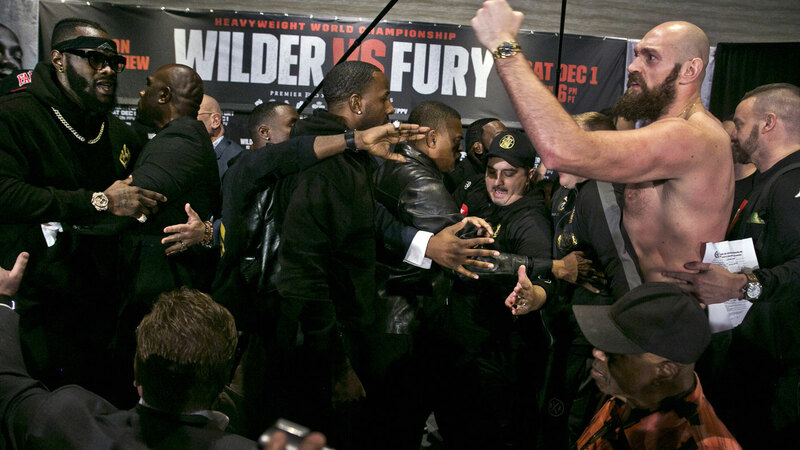 Wilder and Fury made no secret of their disdain for one another, with both men trading insults in front of the media, but things took a serious turn when they engaged in an angry face-off that threatened to erupt into a full-scale brawl. As the fighters met in front of the camera, Wilder went off on a rant that will surely add more spite to the fight. "You say your people having been fighting for 200 years? My people have been fighting for 400 years," Wilder remarked of Fury, who is of Irish traveler descent. As Wilder continued his rant Fury tried to take it all in jest, however within a few seconds both men had to be separated as security rushed the stage. Commenting on the clash, Fury said it was obvious he had rattled his opponent based purely on his reaction but played down the ‘battle of races”. "I don't think we should bring this fight into a battle of cultures or all that," Fury said. "This is above all that. We're fighting for the most gentlemanly, prized, heavyweight championship of the world. He instigated all that. I didn't get up there and start screaming and shouting in his face. "He started with all the '400 years of pain' and all this. He must think that's going to get in my mind, 'Oh he's had 400 years of pain, I won't fight him on Saturday night because he's had 400 years of pain.' Well, my people have been persecuted for thousands of years. Let's not go there. "This isn't a battle of who's been persecuted longest. This is a battle between Tyson Fury and Deontay Wilder. It's not a battle of races of cultures." Fury has largely been inactive since stunning the boxing world by travelling to Germany to outbox Vladimir Klitschko in 2015, who had been undefeated for 11 years. After beating Klitschko, the 30-year-old struggled with mental health issues over two-and-a-half-years as his weight ballooned to a reported 170kg. Wilder says Fury had his chance and now it’s his turn. “This is a moment I’ve been waiting for my entire career; this is my time,” the 33-year-old said. “Fury had his – when he beat Klitschko that was his window to do whatever he had to do. How he took upon his responsibilities as a champion was up to him. But now it’s my time. I’ve sat patiently, waiting. “I will knock Tyson Fury out. They say I’m the puncher and he’s the boxer, but the same thing was said when I beat (Bermane) Stiverne.